Kababji has a new outing, "neyyetna safye" (our intentions are clean) but also "nayyetna safye" (our raw meat is clean - trusted). Now for anyone who is not Lebanese this variety of raw meat dishes could be a bit difficult to stomach (sorry for the pun) but ahem, for us it is a delicatesse. 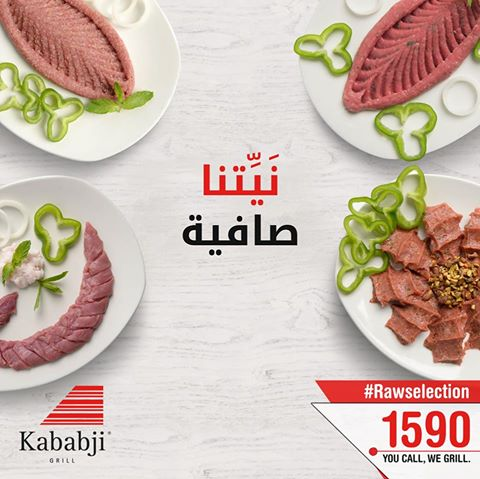 It is a cute ad, but it would be great if Kababji actually increased the size of its microscopic portions. Maybe the ones in the ad above are true to original size.